Here at Gray’s Farm we are encouraging all pupils to walk to school on a Wednesday!! We’d love for you to walk everyday but if you can’t, try and do it at least once a week! Our aim is to reduce traffic around the school, free up parking spaces and make it safer for children to cross the roads. Children have been asked to make road safety posters and to walk on a Wednesday!! 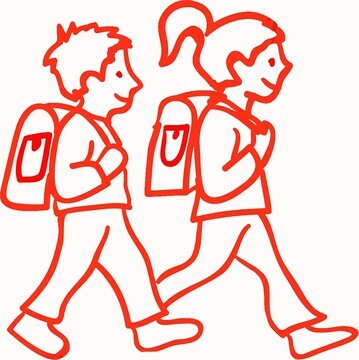 Stickers will be issued every Wednesday for those children who walk to school! We hope you jump on board and Walk on a Wednesday! !